There is some evidence that the MicroSeal treatment reduces wear by comparing results with treated and untreated carpet. 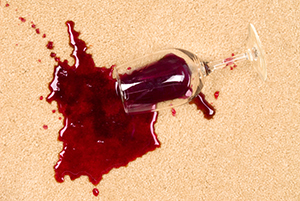 The water repllency of the MicroSeal treated carpet is maintained at a higher level after subjected to wearing and is also resistant to soiling. Persistent wiping of the Microseal treated carpet causes some slight loss in weight but water repellency is very well maintained as is resistance to soiling.